Emily thinks she’s lost everything…until a mysterious painting leads her to what she most in the world. The new novel from the author of international bestsellers The Sweetness of Forgetting and The Life Intended shows why her books are hailed as “engaging” (People), “absorbing” (Kirkus Reviews) and “enthralling” (Fresh Fiction). Along the way, she finds herself tempted to tear down her carefully tended walls at last; she’s seeing another side of her father, and a new angle on her painful family history. But she still has secrets, ones she’s been keeping locked inside for years. Will this journey bring her the strength to confront them at last? Emily receives a painting in the mail. She reaches out to her estranged father for answers. They travel to Germany to research and hopefully mend their relationship. This story just keeps weaving a great tale from start to finish. The mystery behind the painting, Emily’s past choices, and her grandmother’s previous life all meld together and really create a fabulous story. And when Emily and her father travel to Germany, it clouds up the saga, but do not worry, they find the answers right here in the USA. Emily is a wonderful, loyal, and flawed person. She has made many mistakes and she holds on to a large amount of anger at her father. I love a flawed character that is also strong and smart. Emily fits this to a “T”. She is smart enough to know she needs to move on and quit holding onto past transgressions. I enjoyed learning about the history of WWII POW camps in the USA. I knew there had been several among our borders, I just did not realize how they worked or functioned. This was an added plus. This is a multilayered tale which takes the reader on a great ride. 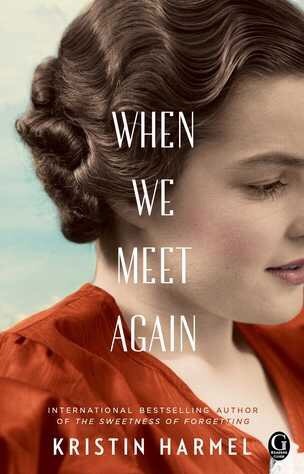 Between the story with Emily and the story about her grandmother’s past, this novel never stops. I was captivated from chapter one till THE END! I received this novel from Simon and Schuster as part of #XOXperts. This entry was posted in Reviews and tagged fiction, kindle, nook. Bookmark the permalink. This is sounds incredibly interesting not just for Emily’s story but the history aspect as well. I knew about the internment camps in California for Japanese Citizens but had no idea about Florida for German POWs. Sounds like an interesting book that might have to make the summer reading list.